I would pick eBooks, without a moment's hesitation. I've never gotten on with audio books. Other things distract me while I'm listening, so I don't take it in and lose track of what's happening. I'm a fairly visual person. I need to see the words on the page in order to full digest and appreciate them. Markus rocked the cradle gently, lessons forgotten, and imagined himself in a cave in the woods, waiting for his commanding officer to arrive and praise him for his valor. I would rather read an eBook than listen to an audiobook. I also get way to distracted and end up not listening to the story. Your "Friday 56" sound an interesting read! 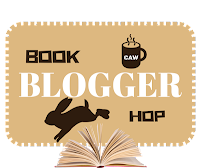 Here's my Book Blogger Hop! Yes, my mind wanders if I am not looking at the page. 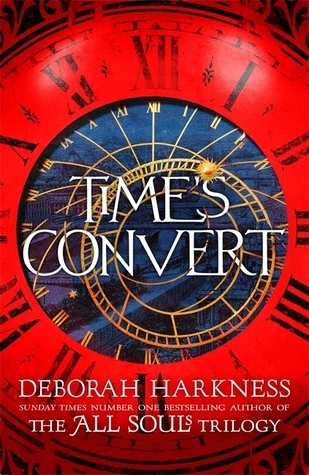 Time's Convert sounds like an interesting book. I want to read it but also feel like I should finish the the original trilogy first. Enjoy your current read! I still need to read the second book in the first trilogy. :-) Happy weekend! I do want to read this one but I'm waiting for a price reduction. I might have to wait for the paperback so that the ebook price drops too. BTW, ebooks all the way! I'm featuring The Military Wife by Laura Trentham from my review stack this week. Happy reading! Hope you'll enjoy it when you get to it. I'm loving it. 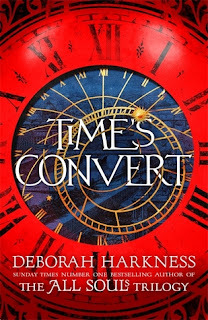 I am eager to read Time's Convert. I enjoyed the earlier books in the series. I hope you are enjoying it! I would have to say e-books as well. I do enjoy audiobooks from time to time, but I have that little problem of a wandering mind too. I hope you have a great weekend, Nicki. Yes, it's good so far. Should finish over the weekend. I like the time period and location this is set in. Sounds like a good read. It's been great fun so far! Hope you are enjoying this one so far. Happy weekend! Thanks Alicia; it was good. Great excerpts! I love the cover, too. Thanks for sharing, and for visiting my blog. I'm sure you've loved this one. Thanks for sharing and for the visit. Yes, it was great. Thanks for the visit.